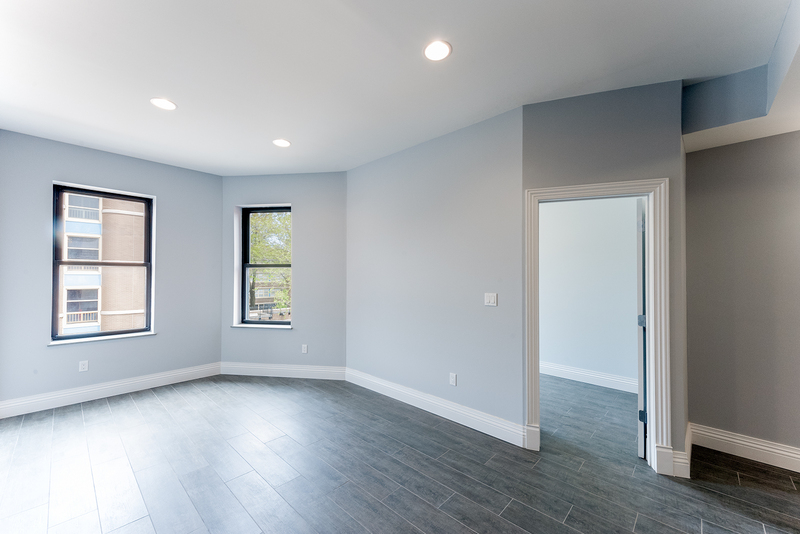 Situated within minutes of the J and Z train, Residence 3 is a brand new expansive full-floor home. With four large bedrooms, three of which can fit a king sized bed, and one a queen, this apartment is perfectly situated for shares. Each of the sun-filled bedrooms offers a window, ample closet space and will seamlessly fit your furniture. Featuring a stainless steel washer and dryer and dish washer, the large custom kitchen is perfect for dinner parties and entertaining. 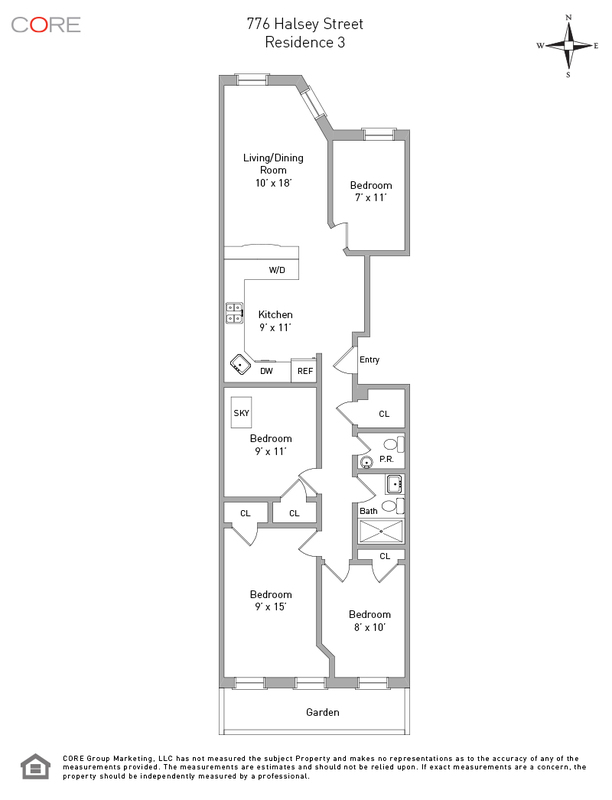 The expansive living room can easily fit an L-shaped couch, dining room table and is wired for cable and Fios. This apartment spans the entire third floor and also offers sleek radiant heated floors, a skylight and a spa-like bathroom and powder room. 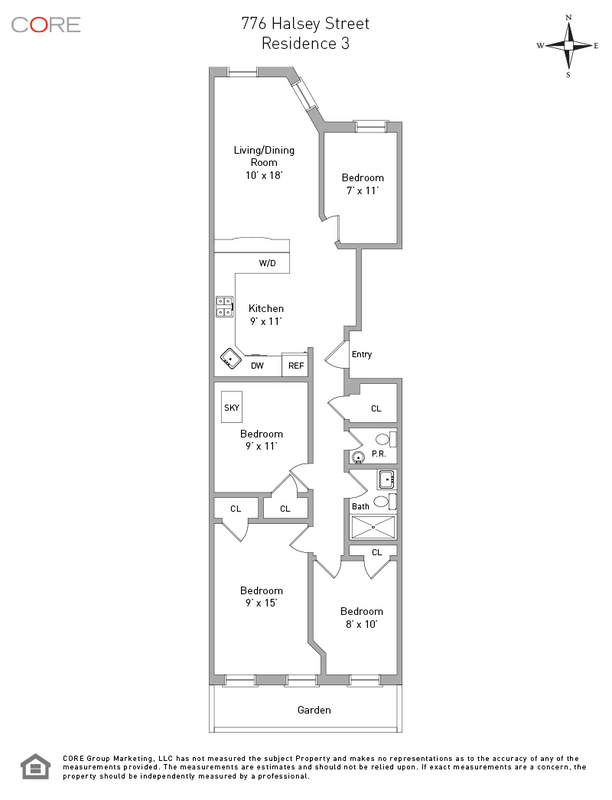 The Residences at 776 Halsey Street are just steps to the neighborhoods exciting nightlife, bars, restaurants and shopping, and conveniently located within minutes of the subway and Pratt Institute.